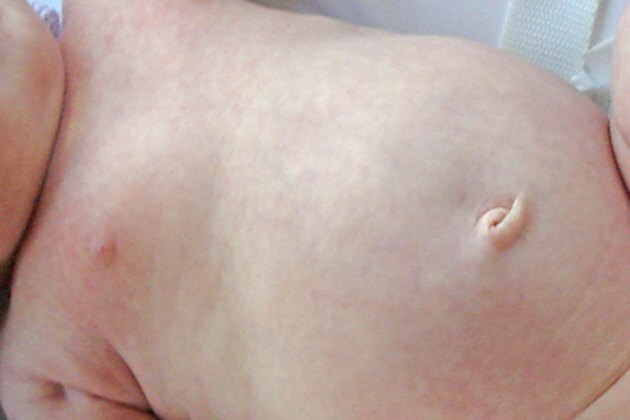 How Long Does It Take for a Baby's Belly Button to Heal After Birth? Your baby's umbilical cord is her source of life during pregnancy. Once your baby is born, she begins breathing oxygen and obtaining nutrition from milk or formula, so the umbilical cord is no longer needed. The cord is clamped and then cut to sever the connection, which leaves a small stump attached to your baby's belly button. If you care for the stump properly and watch for signs of potential infection, your baby's belly button will stay healthy in the few weeks it takes for the stump to detach and the navel to heal. After the umbilical cord has been cut and clamped, the small stump left behind typically stays in place anywhere from 10 to 21 days. Though that length of time is typical, it's not a problem if your baby's stump detaches earlier or later. Your baby's umbilical cord stump serves no purpose and is void of nerves, so your baby doesn't feel anything when the stump dries and detaches, much like a scab. At birth, the umbilical cord stump covers the entire belly button and has a fleshy appearance. As the days pass after your baby's birth, the stump stops receiving blood flow, which causes it to shrivel and dry out. This is a completely normal process by which the stump finally detaches and comes away. 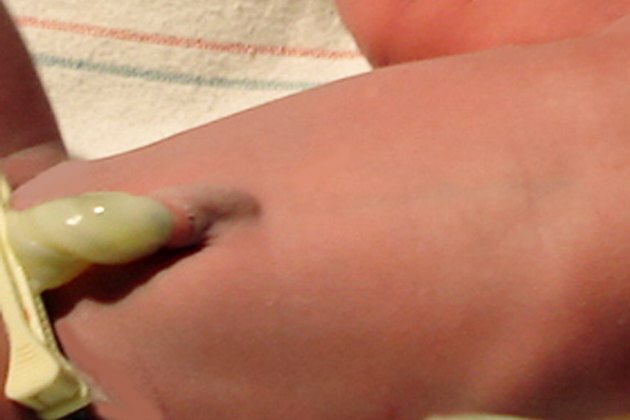 A small amount of bleeding is common during the weeks following birth. The clamp used to siphon blood flow from the umbilical cord will be removed before you leave the hospital with your baby. 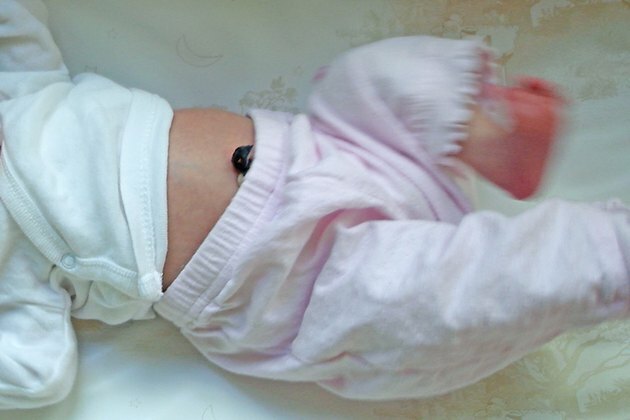 While the stump is still attached to your baby's belly button, keep it clean and dry. Avoid tub baths, using sponge baths to keep your baby clean until the stump detaches. When diapering your baby, fold the top of the diaper down to avoid uncomfortable friction between your baby's belly button and the diaper. Never pick or pull at the stump. It will detach as it naturally heals. It's unlikely but possible that the umbilical cord stump can get infected during the healing process. Contact your pediatrician immediately if you notice signs of an infection: yellowish pus or discharge oozing from the stump or belly button, a foul odor, redness and swelling around the cord or continuous bleeding.